We went strawberry picking on Saturday and we came home with far too many if that’s possible which led to this freshly made strawberry sauce. 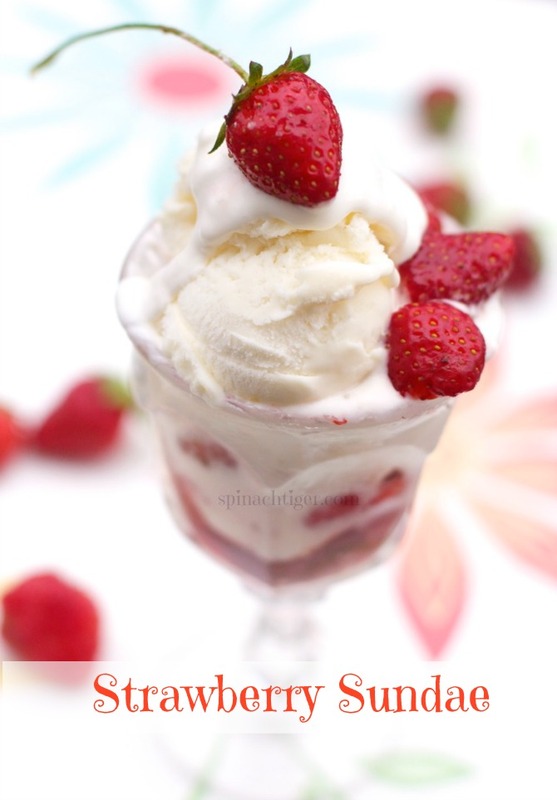 You can use frozen strawberries to make strawberry sauce. Use Powdered Erythritol if you want to make sugar free strawberry sauce. I used four cups of strawberries, one cup of water, one half cup sugar. Or, you can use one half cup swerve if you want to keep this low-carb and sugar free. 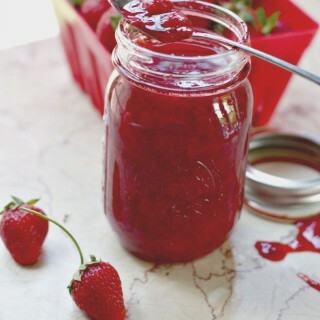 You can make strawberry sauce thicker by reducing it a bit more or using less water. you can take this and press it through a mesh colander and make strawberry simple syrup. Simple syrup makes great cocktails and in case you missed it, my previous post was a strawberry martini. 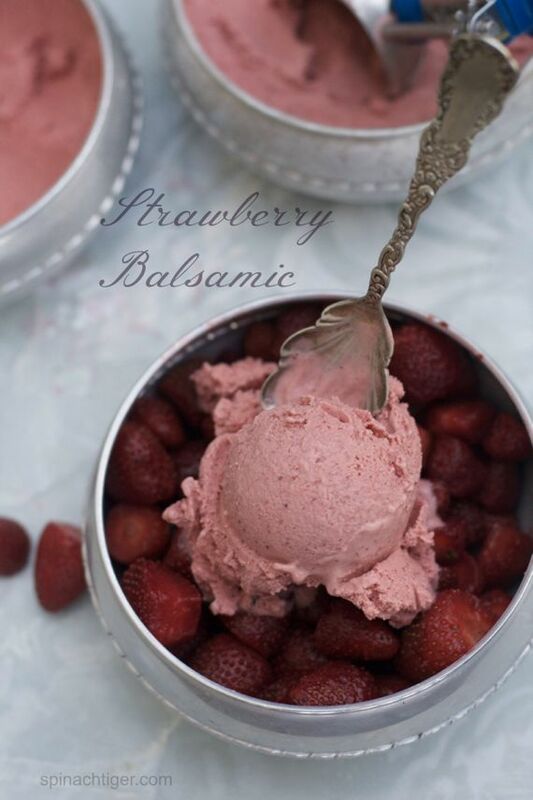 You could also use the syrup to make a great strawberry balsamic ice cream. 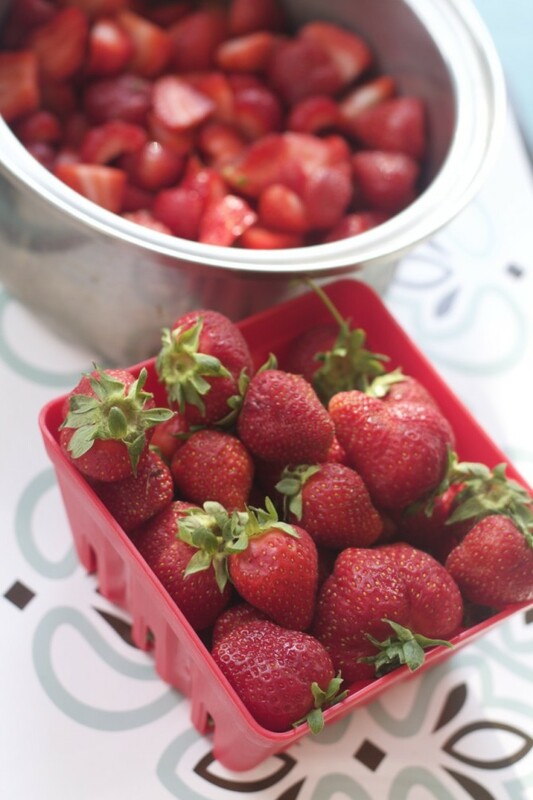 Stop and enjoy the strawberries! 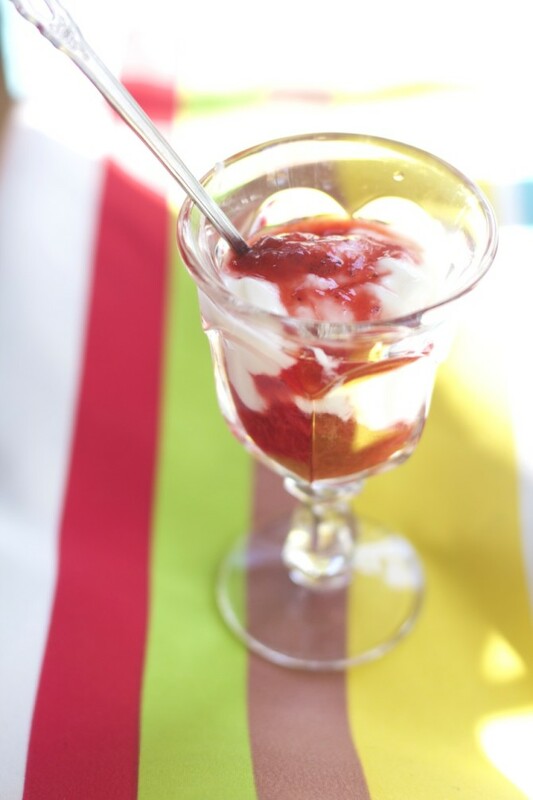 Taste the sweet of life and find new ways to eat strawberry sauce. This is so much better than sauce you buy in a jar, which will be too sweet and too artificial tasting. This can be eaten on toast or a bagel with cream cheese. Try making strawberry sauce and banana toast. I like to make my own strawberry yogurt with plain yogurt and strawberry sauce. Or top it on ice cream, make a sundae, adding in a few fresh berries (or not). Top on lemon pound cake, or cheesecake. The possibilities are endless. This will also freeze well. You can freeze in a mason jar and leave one inch at the top. 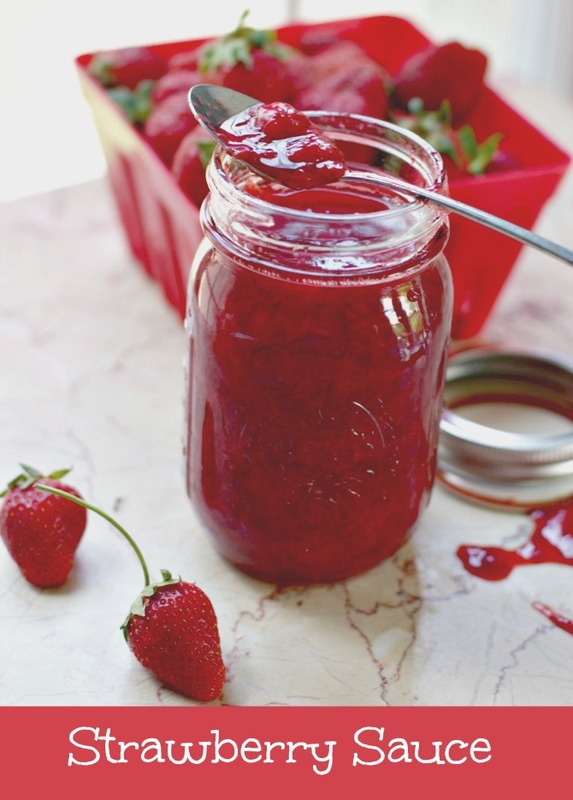 You might be interested in reading more about freezing strawberries in jars here. So tell me, how would you eat this strawberry sauce. 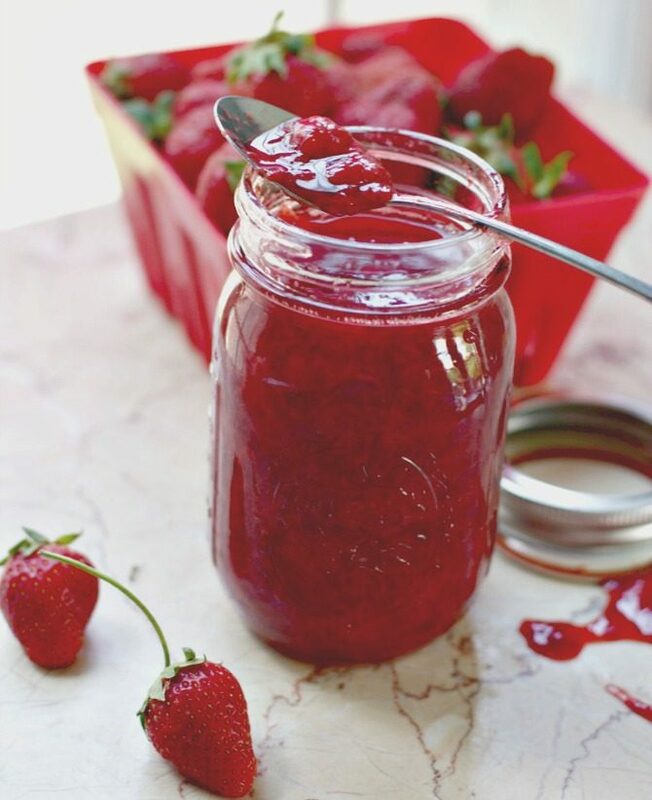 Strawberry Sauce, perfect for any dessert. Top cake, ice-cream or yogurt. Put ingredients in saucepan. Bring to quick boil. Turn on low and simmer 15 to 20 minutes until desired thickness. For me; it’s good enough to eat right from the jar but it is also just as good on pancakes and waffles as well. Thank you Colleen. I agree. Strawberry sauce is so good! Mmm.. I just made strawberry preserves this past Thursday evening to serve at breakfast on Friday in honor of our Nurses! Strawberries are definitely in season and tasting divine! Thanks for sharing! WOW this looks like it can go with almost everything! Yes Angela it certainly is Strawberry season here in Middle Tennessee isn’t it? Your sauce is divine looking and so easy to make. Thanks for sharing as I have a motherlode of berries as well. So far I have made a tart, scones and perhaps your sauce! Happy Mother’s Day. This looks so delicious! Can the sugar be omitted or substituted? I’d love to try this but I’m on a very low-calorie diet. Yes, you can omit sugar or substitute with stevia. You’ll have to try it to taste. I would say 1 tablespoon stevia to 2 cups strawberries, but keep tasting. I haven’t made strawberry sauce before. I didn’t know it was so easy. It’s so easy I almost didn’t post it. I swear there’s nothing quite like the taste of fresh starwberries. My husband’s Oma makes fresh strawberry jam and I go cuckoo for it everytime we visit Germany. Thanks so much for sharing this recipe. Totally pinning this!